Hitchin Ladies train Tuesday evenings, 7.30pm - 9.00pm. No experience is necessary, although a gum shield and boots are useful for training and a must for matches! We're an enthusiastic bunch and team spirit has never been higher as we continue to welcome new players to the team on a regular basis. 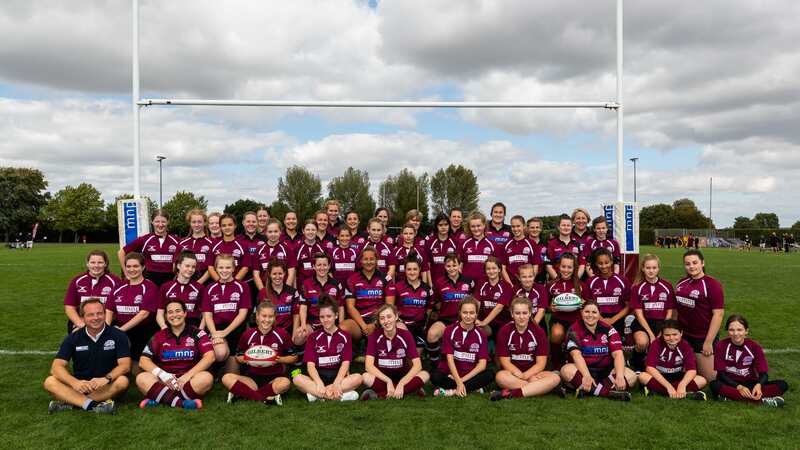 We have a high number of players who have never played rugby until they join the team, however there is absolutely no obligation to play matches - some ladies decide to start playing matches straight away while some people train for a few months first. And others still just come to keep fit! We love playing rugby, and whether you've played most of your life, or never picked up a rugby ball, we are always looking for new players. We joined East 2 League for the 2016-17 season and currently have one ladies team. Our fixtures are played on Sundays, and our season runs from September to May 2019. 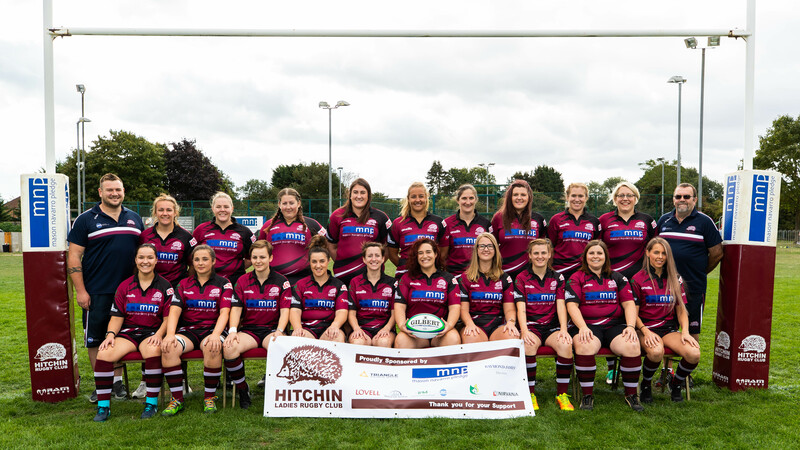 In its current form, Hitchin Ladies have been going strong since 2003 when one intrepid Hitchin-ite, fresh back from uni, decided she still needed rugby in her life and approached Hitchin rugby club to start a ladies side. In 2016, we won Team of the Year at Hitchin Rugby Club as we developed back to a sizeable team and won our merit league! In 2017, we won Team of the Year at The Comet sports awards (which celebrates local team and individual sports achievements). 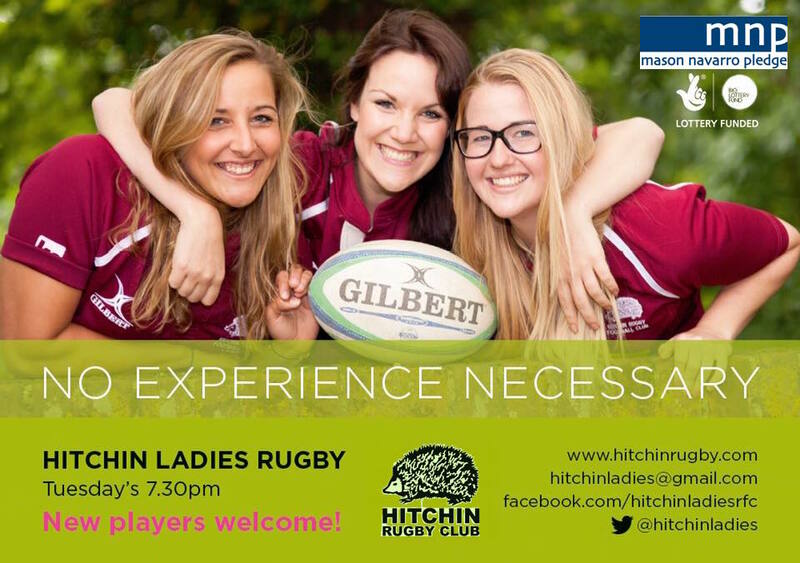 If you've still got questions, drop us an e-mail at: hitchinladies@gmail.com, or come along to training to find out more. We've also got a girls team. Check out the Girls Youth Team pages for more details.